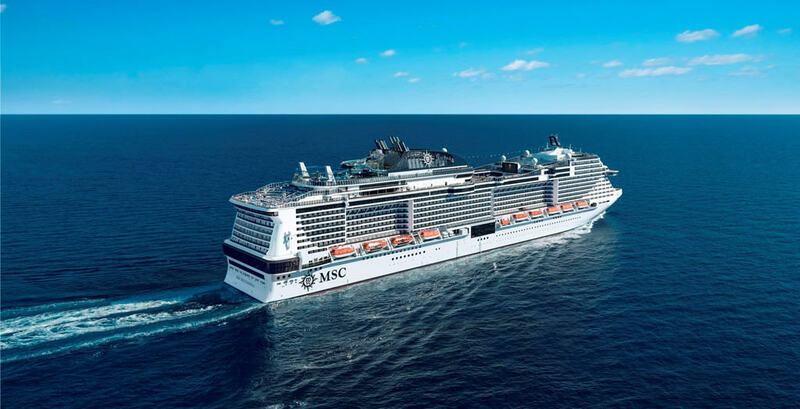 2019 is going to be a very busy year with new cruise ships and this includes MSC Bellissima, the first of two new mega-ships arriving this year for MSC Cruises. It’s just another busy year of new cruise ship MSC Cruises, one of the fastest growing cruise lines around! The first arrival will be MSC Bellissima with her maiden voyage taking place in March. The ship Meraviglia-class ship will soon depart the Chantiers de l’Atlantique shipyard in France for Southampton for her naming ceremony on March 2. The ship will be the largest ever to be launched at the port marking a historic moment for the cruise line and port. The naming ceremony is going to be hosted by This Morning presenter Holly Willoughby. She’s become a huge star on the UK’s ITV channel and presenter several major shows. In another historic moment during the ceremony, an exclusive Cirque du Soleil at Sea show will take place on the pier marking the first time ever during a new cruise ship naming ceremony. As always godmother Sophia Loren will name the MSC cruise ship with all the glitz and glamor expected. MSC Bellissima aiden voyage will begin on March 1 which includes the naming ceremony and overnight in Southampton. The ship will sail a short special cruise to Guernsey before arriving back to port in the UK on March 4, 2019. On March 4 the vessel will begin its 10-night inaugural cruise to Genoa. On March 17 MSC Bellissima will commence 7-night itineraries in the Mediterranean calling Genoa, Naples and Messina (Italy) Valetta (Malta), Barcelona (Spain) and Marseille (France). This brand new mega-ship from MSC Cruises will even feature the world’s first virtual personal cruise assistant ZOE. This innovative A.I. will offer an experience like no other in the industry. Other highlights include a new Tapas restaurant, a new French restaurant, a chocolate bar, desert-themed water park, new Cirque du Soleil at Sea shows and of course the iconic 96-meter promenade with the longest LED sky screen at sea with a shopping gallery featuring over 200 brands. MSC Bellissima is going to be a huge 167,800 gross tons with a guest capacity of over 4,400 at double occupancy. The ship will be among the largest in the world featuring 12 international dining venues and 20 bars. The ship has already completed the second sea trials and is now just about ready for delivery to the cruise line. MSC Cruises will welcome MSC Grandiosa as the first Meraviglia-plus class ship in October 2019. The cruise line has an additional 12 cruise ships on order!